This year’s Lowy Institute poll, released today, finds that fewer than one in four Australian adults say they feel very safe. That’s 18 points lower than when Australians were last asked the same question about their safety in 2010. It’s not hard to surmise that the reason is the rise of IS, which 69 per cent rank as the highest threat to Australia’s security. This level of fear is itself a victory for IS and other terrorist groups. Terrorism is a weapon of the weak designed to provoke fear in a bigger and stronger enemy, fear that leads the stronger side to take self-defeating action that ends up helping the terrorists. That’s exactly what happened after 9/11, an atrocity that provoked the US into making one of the costliest foreign policy mistakes in its history — the invasion of Iraq. The world is still paying the price for that calamity. Many security experts point out our fear of terrorism is irrational. After all, the chances of any Australian dying in a terrorist attack are infinitesimally small. But people don’t always respond rationally to fear. For instance, we tend to worry less about chronic causes of death and more about catastrophes, which is why plane crashes get much more attention than road accidents or cancer deaths, even though the chances of dying in an air accident are tiny. Our risk perception can also be skewed by the fear of dying in a particularly awful way — IS plays into our deepest such fears with its staged beheadings. And then there is the simple fact that IS is dominating the media these days. We tend to fear things of which we are more aware. But if we are more conscious of what drives our fears, we can avoid making dumb mistakes like the Iraq invasion. Unfortunately, the Government seems intent on stoking the public’s fear rather than calming it. Attorney-General George Brandis, for instance, has said that IS “represents or seeks to be an existential threat to us”. Foreign Affairs Minister Julie Bishop has said IS is “the most significant threat to the global rules-based order to emerge in the past 70 years”. And last week Prime Minister Abbott seemed to go out of his way to conjure up the public’s most lurid nightmares when he said that IS “is coming, if it can, for every person and for every government with a simple message: submit or die”. What’s the alternative to trading in fear? The answer is not to just dismiss the threat. Australians are scared and telling them their fears are irrational is not only politically disastrous for any politician, it would also be wrong as a tactic. Even if the terrorist threat is not as high as Australians think, the Lowy Institute poll result shows that our fear of terrorism is real and fear weakens us as a nation. Our leaders should try to protect us from those fears, not dismiss them. There’s a way of doing that which doesn’t hand a free kick to IS and al-Qaeda. Rather than talking in terms of anxiety and threat, the focus should be on policies and rhetoric that emphasise steadfastness, stoicism and resilience, a refusal to give in to fear. Obama is a pretty good model in this regard. He’s wound back the inflated rhetoric of his predecessor, language still echoed here by the Abbott Government. Even when he launched America’s military operation against IS last year, Obama told his country plainly that terrorism could never be entirely eliminated and there was no evidence IS had targeted the US. He was treating Americans like grown-ups; telling them they should not be cowed by risk. The Opposition thinks it is in a bind. The Government proposes ever more draconian security legislation, which Labor feels it must support because anything less would open it to charges that it is “soft on terrorism”. But you can hardly accuse Obama of being soft on terrorism. He got Osama bin Laden and while winding back two big wars — Afghanistan and Iraq — he has started one small war, a low-level global campaign to target the most dangerous terrorists, often with drone strikes. It is a strategy that US political analyst Peter Beinart calls “fierce minimalism”. That’s a strategy which can work in Australia too. Meet the threat head on, but do it quietly, resolutely and without fuss. In short, through our language and actions, we should simply refuse to be terrorised. Sam Roggeveen is editor of The Interpreter and Fellow at the Lowy Institute for International Policy. 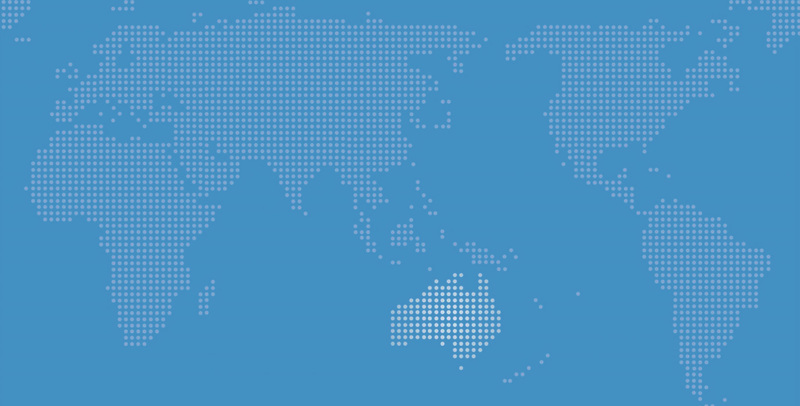 The 2015 Lowy Institute Poll is at www.lowyinstitute.org.